What’s a holiday without cookies!! Holidays cookies are always the best because we always bake them with love and joy filling the air. Holidays are full of fun, family, and great food- and lots to do! It’s essential to eat with joy and it’s a blessing to bake for people who eat with joy. That’s what holidays are all about. As if we need another excuse to fill ourselves with sugar, butter and chocolate! But listen up, holidays are not meant for calorie count… drop that for now and put on your baker’s hat because you are in for treats. This post has been updated from the original June 2017 . 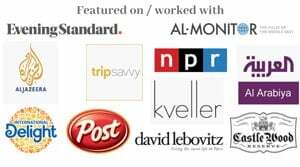 Last updated December 2018. Here are some tips for the cookie baker in you, to make this holiday season less intense and more joyful. These are the most common cookie problems that I’ve faced and how to fix them, I hope you’ll find them useful and…. keep baking. Scoop your dough and chill before baking, this ALWAYS fix the problem. Always cool the baking pan between batches. You can do this quickly by running cold water on the back of the sheet. Use shortening or oil instead of butter. What I sometimes do is using a mixture of shortening and butter as I do not want to sacrifice the buttery flavor. Bake in a hotter oven, low oven temperature causes spreading. This is the second complaint people suffer from, my cookies are tough the kind that will break your teeth :). Flour is mostly the culprit here, you’ve added too much flour than necessary. Other reasons include less fat, over mixing or over-baking. Measure flour accurately or try to reduce flour a bit (1/4 cup). 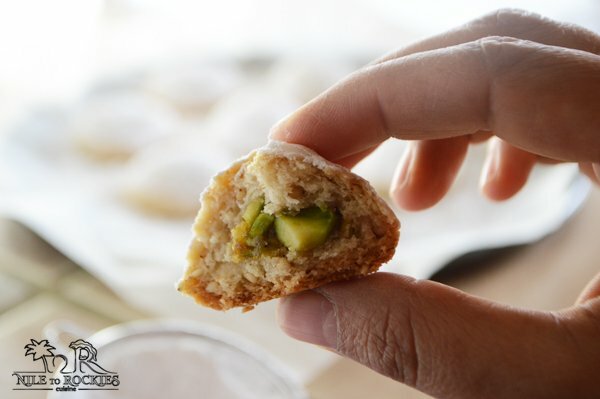 Bake a few minutes less or try to take out your cookies when it starts browning at the edges. Use heavy, dull aluminum, non insulated light colored pan. Reduce sugar to prevent over-browning. 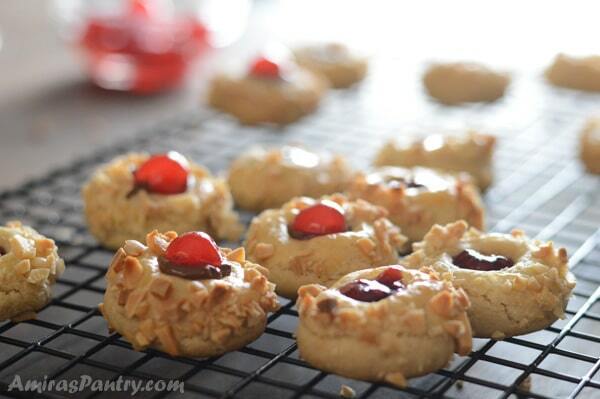 How to keep cookies from hardening after baking? To keep your cookies from hardening, store them in an airtight container immediately after baking. If they got hard, put a piece of bread with the cookies in the container overnight. I tend to make the same types of cookies each year, which are the traditional ones. Kahk is a must, betefour is a second must and also ghorayeba. But I also like to shake things up by making at least one new holiday cookie. I have many cookie monsters in my house, who will enjoy cookies year round. 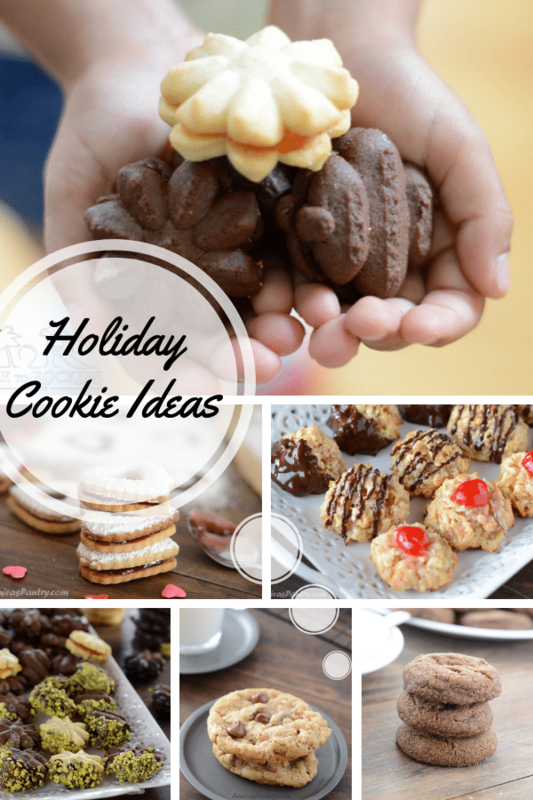 Here is a holiday cookie list for you to enjoy. 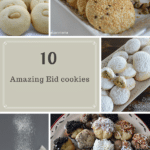 This is mostly called Egyptian wedding cookies or kahk. 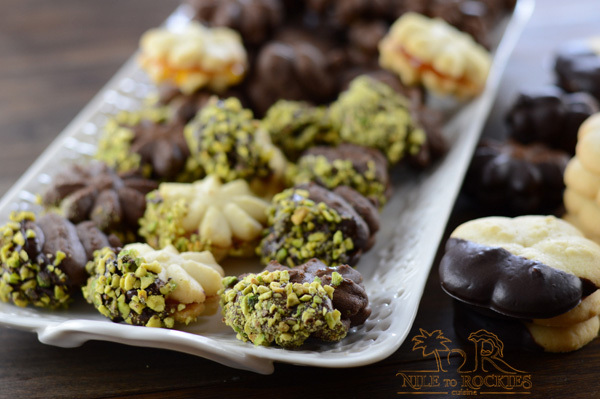 I’ve made Kahk twice on this blog the old one with the traditional way and the more modified one stuffed with pistachios. Both turned out great. My kid’s favorite is the chocolate one glued together with any sort of jam. One of my kiddos though, like it unglued so he can dip it freely in a bowl of Nutella. 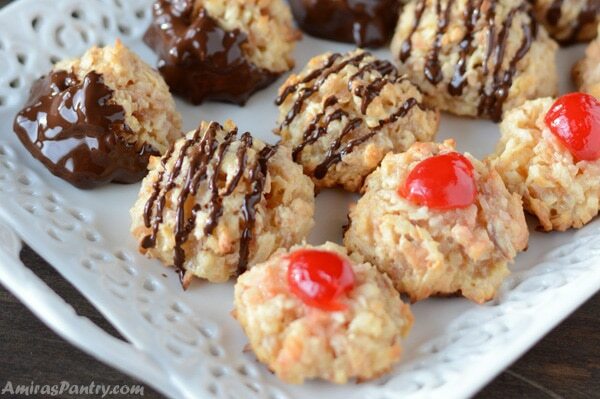 A seriously easy recipe for coconut macaroons or as we call them in Egypt “Shakallama”. 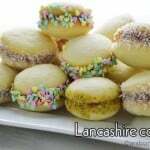 This macaroon recipe does not have condensed milk in it which make it easier to control the sweetness. 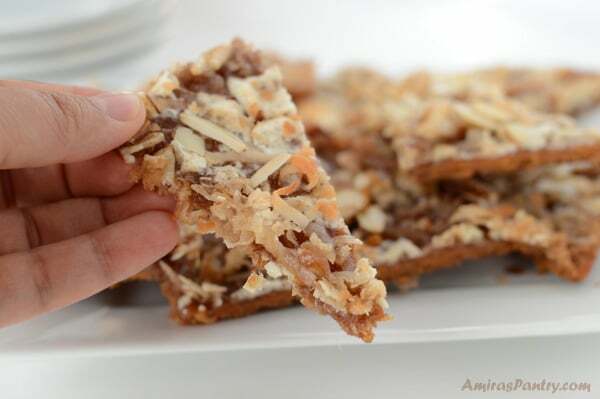 Another coconut-y recipe that was a hit, this one is adults/kids approved. Ridiculously easy recipe that requires no special skills at all. 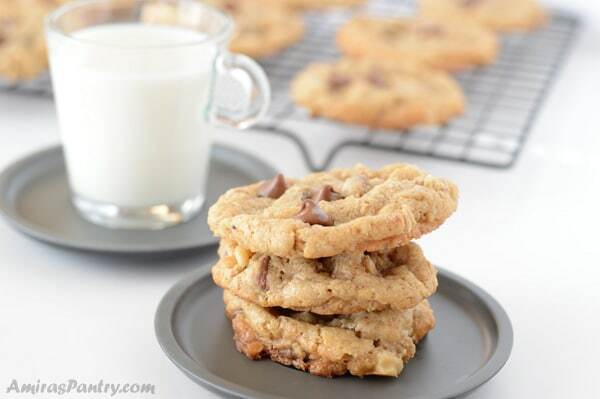 And who does not like any sort of chocolate chip cookies?. Try this oatmeal chocolate chip cookies and you’ll never look back. These orange cookies was an adult only recipe in my home. The orange flavor was enough to drive my kids away, add to this the dark chocolate and they will never think twice :). 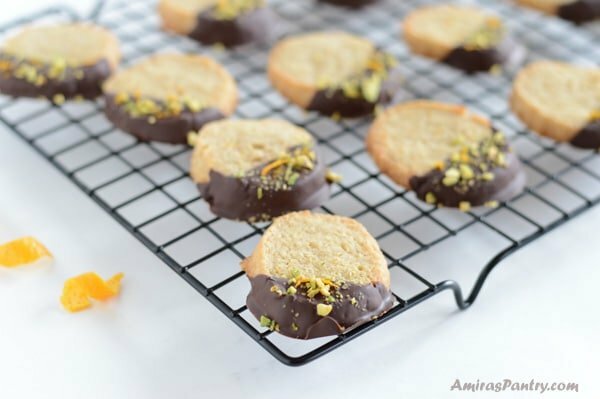 But really orange + dark chocolate + pistachios = heavenly flavor combination. 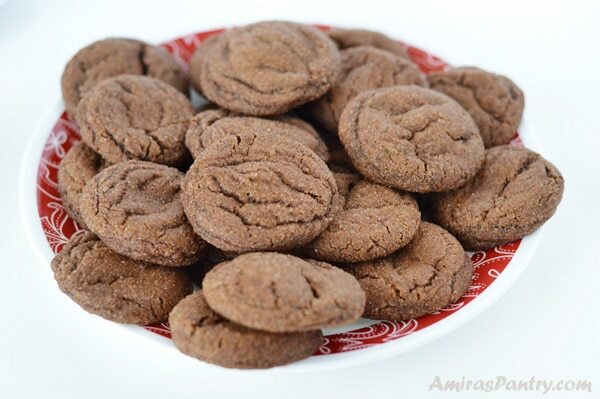 Perfectly spiced, molasses and ginger cookies. Soft in the center with a little crispness on the edges. These are a must bake. These does not have to be heart shaped of course. My kids literally gobbled these cookies up. Yet another very easy cinnamon cookie recipe that I highly recommend. 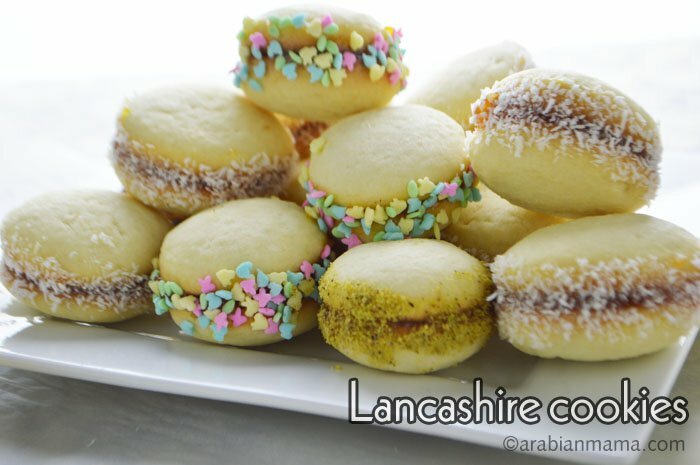 Lancashire cookies are adorable tasty bite sized cookies that I believe originated in the UK and was introduced to the Egyptians during the British occupation. These jam filled with a cherry on top little gems are wonderful by all means. Not sweet at all yet feel free to sweeten them up with your choice of jam or Nutella. Happy holidays, wishing you all the best and happy baking ♥️. 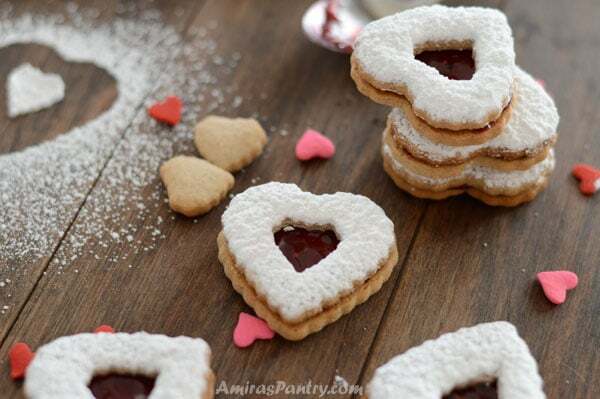 I hope you’ve found inspiration for your holiday baking, snap a pic and hashtag it #amiraspantry — I love to see your creations on Instagram, Facebook, Twitter! 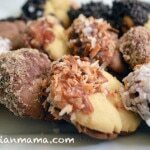 A wonderful post, I especially like the chocolate dipped orange cookies…simple but flavorful.